On April 15-17, 2015, The Simon Foundation for Continence will hosts its 5th international conference, Innovating for Continence: The Engineering Challenge. The biennial conference is held in Chicago, attracts speakers from a wide range of disciplines, and is designed to heighten innovation and increase development of creative and efficacious products for the management of incontinence. The Simon Foundation for Continence will hosts its 5th international conference, Innovating for Continence: The Engineering Challenge on April 15-17, 2015. The biennial conference is held in Chicago and attracts speakers from a wide range of disciplines. The conference is designed to heighten innovation and increase development of creative and efficacious products for the management of incontinence by bringing together a unique group of stakeholders. The concept of the conference series is to feature an unusual mix of speakers to provide fresh thinking on the topic, including experts in areas of technology that have yet to be applied to incontinence. Among the many unique aspects of the Innovating for Continence conference series is the role that the incontinence industry plays in this meeting. Unlike many meetings, industry’s engineers and scientists are welcome to participate in both the Plenary Sessions and the Poster Session. Delegates come from all parts of the world to participate in this biennial meeting. Past delegates and speakers have come from Japan, Australia, Brazil, Denmark, Germany, Canada, Switzerland, Israel, Ireland, Sweden, England, the Philippines, and throughout the USA. Delegates include biomedical engineers and other engineering disciplines, physicians, nurses, people with incontinence and their caregivers, academics, industry executives, venture capitalists, and entrepreneurs. Alan Cottenden, Professor of Incontinence Technology at University College London in England is the ongoing Chair of the conference series. He has been involved in continence product technology for over 30 years, working on clinical and basic science aspects as well as product development. 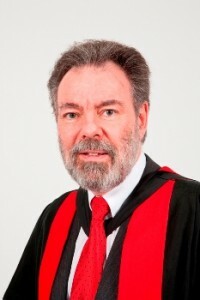 “People with incontinence would like to be cured, but when complete cure is not achievable – as is often the case – delivering the best quality of life possible through effective management is a goal just as worthy of our strenuous efforts,” states Professor Cottenden in describing the motivation behind the Innovating for Continence conference series. The Foundation is proud to announce that its Honorary President for the 2015 conference is Professor Christine Norton, PhD, RN, from the United Kingdom. Dr. Norton is the Florence Nightingale Professor of Clinical Nursing research at King’s College London and Imperial College Healthcare London. Professor Norton is the author of seven books and over 100 articles on incontinence. Registration is open for Innovating for Continence 2015 and its preconference workshops on Wednesday, April 15, 2015. Registration can be completed on the conference website at http://www.innovatingforcontinence.org. The Simon Foundation for Continence (http://www.simonfoundation.org/), located in Chicago, Illinois, USA, is a 501(c)(3) corporation whose mission is: to bring the topic of incontinence into the open; remove the stigma associated with incontinence; and provide help and hope to individuals with incontinence, their families, and the professionals who provide their care. The Simon Foundation for Continence is the world’s oldest patient-led organization devoted exclusively to incontinence, having been founded in 1982. The Foundation’s mission is supported by an Advisory Board of professionals, many of whom have dedicated their careers to improving the clinical treatment of incontinence and advancing medical science through bladder and bowel research. Posted in Press Releases from The Foundation and tagged Innovating for Continence, innovations in urology, urology conferences, urology meetings.